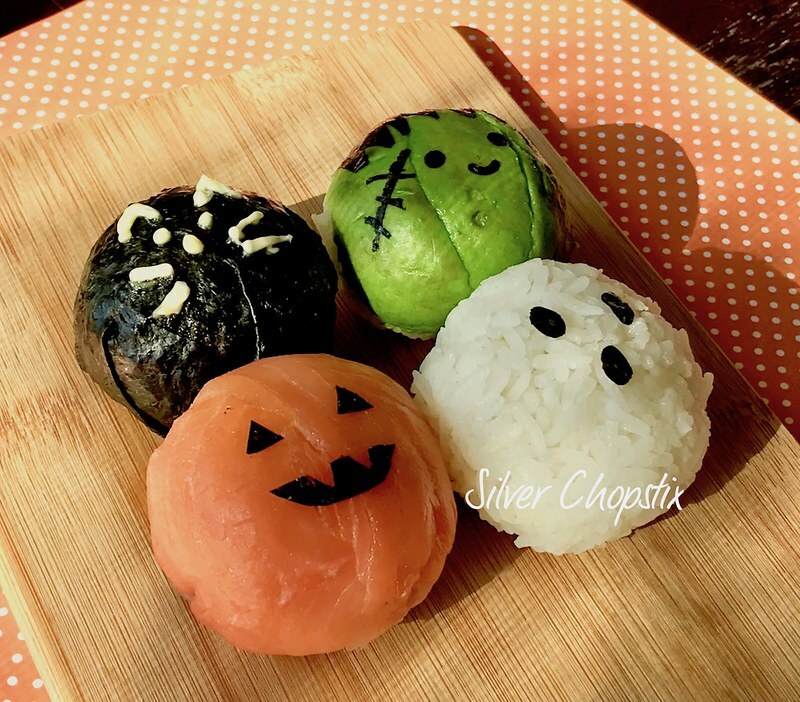 I try to make at least one Halloween themed blog during the Fall season. The past several years it’s all about bento and it’s not any different this year either. Temari in Japanese literally means hand ball. Temari sushi are ball shaped sushi made by forming rice using a plastic wrap. This is by far the easiest way to make sushi specially if you are a beginner. Take a piece of plastic wrap and lay it down on a plate or counter top. Then place 1/4 cup cooked white rice in the middle and gather up all the edges and twist into a ball. Make sure to tightly squeeze the plastic wrap to form a smooth and even ball. Unwrap carefully and decorate the top with your choice of ingredients. For the pumpkin, I used a piece of smoked salmon and some nori strips for details. 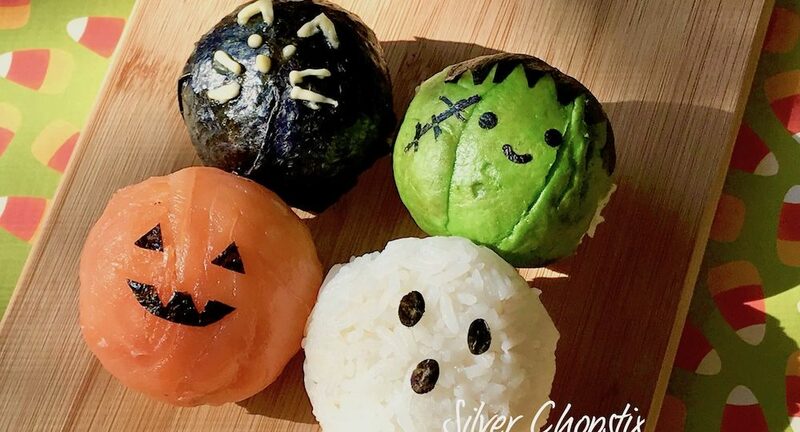 The cat is just nori wrapped around a rice ball with some mayo for decoration. 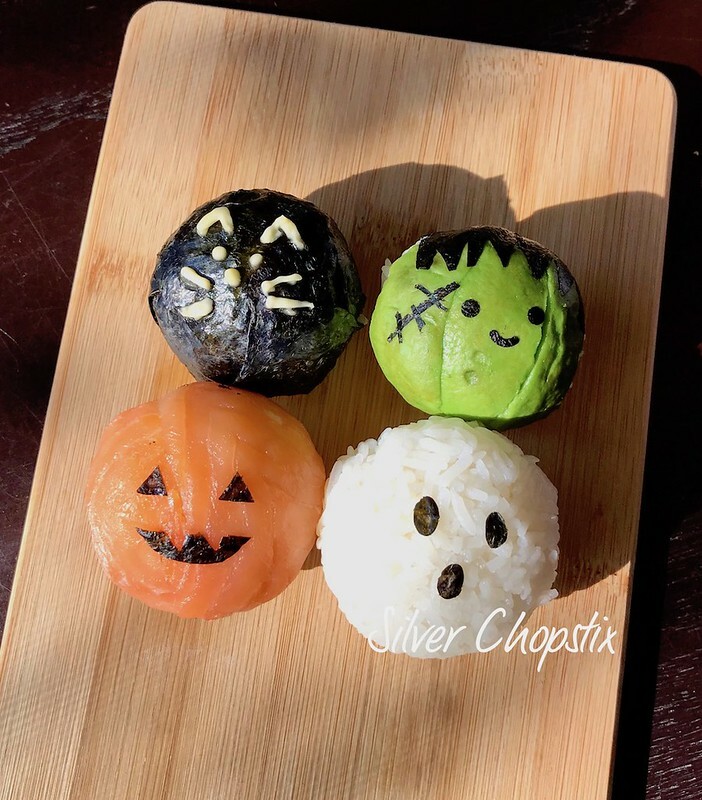 Frankenstein is made my wrapping thin slices of avocado using a cling wrap and again using nori for the face details. Last but not least, the ghost is just plain rice with seaweed. 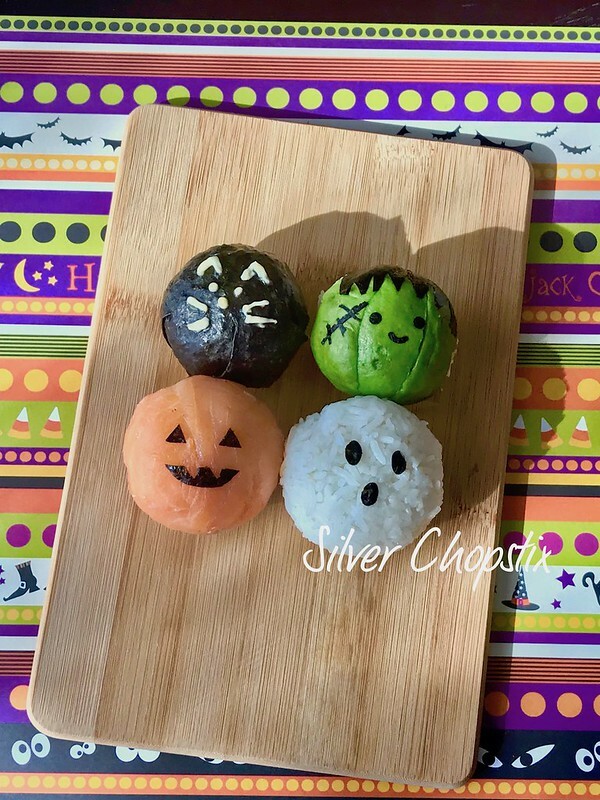 This is a fun and easy way of creating Halloween themed food for your family.